A hot topic of the last presidential debate, which occurs tonight, is likely to be China’s monetary policy. The country continues to come under fire for keeping the value of the Yuan artificially low relative to the dollar and other major currencies. This makes Chinese products cheaper and it increases its exports abroad. Low-cost manufacturing goods from China have become a focal point of presidential politics and China policy is a political football. However, drawing lines in the sand regarding how one would deal with China if elected is unproductive in the long run. Candidate Mitt Romney insists on labeling China a “currency manipulator” – a designation that automatically invokes trade-sanctions. He would also stop government funding of US programs that have Chinese investments- a la Big Bird. The rhetoric may sound good, but it overlooks the simple fact that China holds more than one third of all US debt. 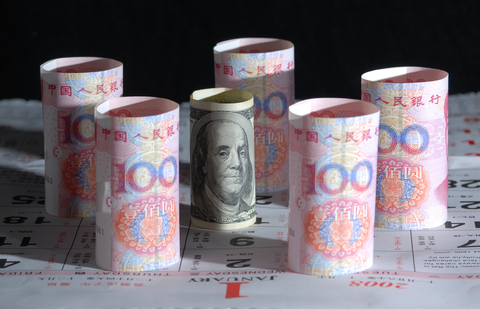 Absent Chinese investments in the US, there could be no QE3 without rapid inflation. In contrast, President Obama believes the most fruitful way to deal with China is through negotiations and behind-the-scenes pressure. Congress, the International Monetary Fund, and the World Bank continue to pressure Beijing to allow a faster appreciation of its currency. In response, China has shifted its policy and allowed the Yuan to appreciate 25 % against the dollar in seven years. The country has also widened the daily amount by which it allows the Yuan to fluctuate, from 0.5 percent to 1 percent. The slowdown in China’s economy is important because the country has become a dominant global economic power. China’s share of world output was estimated last year to be approximately 13 percent, which is an increase of nine percentage points over two decades ago. Other estimates place it closer to 16% of world output. Either way, China’s share of the world’s economy is only two or three percentage points behind that of the United States and it is equal to that of the European Union. It is impossible to know with certainty what the true economic picture in China is today. What has become increasingly obvious is that China, like the US, is pursuing and activists monetary policy to keep its economy growing at a rapid rate. In the US, the Federal Reserve has undertaken a third round of quantitative easing (QE3) to expand the money supply, keep interest rates low and grow the economy. In China, recent data indicates that the money supply has been expanded by 14.8% since the beginning of the year. While it is not good enough to rekindle the rapid rate of investment that occurred over the last year, it has played a significant role in stimulating consumer spending, which is now the most important sector that is keeping the economy growing. Until now, China has relied mainly on export growth to fuel its domestic economy. Recognizing that model is unsustainable, the country has shifted to a more consumer base growth policy. The recent increase in domestic consumer spending in China has halted the downward slide in growth. In fact, during the first three quarters of 2012 consumption spending in China accounted for 55% of the nation’s growth. This is the first time in a decade that the contribution from consumption and exceeded that from investment. More importantly, the slowdown in net exports abroad from China contributed negatively to the country’s growth. This year, the growth rate declined from the range of decade 10% to 12% where it had been for most of the last decade, to a much lower range of 7.4% to 9%. Although this is a noticeable drop, some observers expected the slowdown to be even worse. However, skeptics are beginning to feel more confident about country’s ability to sustain growth. China is experiencing a significant decline in housing prices and real estate values have sunk to a 16 month low. Prices in its 10 biggest cities fell by over 3% during the first three quarters of the year. As China relys more on market forces, it will also become more subject to the ups and downs of business cycles. It is not clear whether the country is facing the same recessionary and expansionary pressures that other industrialized market economies undergo. But there is no doubt that this will happen in its future. The country has built an ever expanding free market economy on top of a centralized political structure. Incentives in the political system seemed tied to one’s ability to achieve exceptional economic performance in your local area. Even if the fundamental economic conditions are not favorable, politicians achieve growth nevertheless through government expenditures on fiscal stimulus programs. China’s past levels of economic performance are no longer sustainable. This is not a surprise; in fact, it was expected because it always becomes harder for organizations and countries to sustain high rates of growth as they get larger. Google’s earnings report last week is the best example of this. The growth slowdown in China does not mean the country is headed for a “great recession”. Nevertheless a “new left” is emerging in China and is challenging the unequal distribution of wealth and wide gap in living standards between urban and rural populations. Their voices are still muted at the moment, but it is not clear how long that will be the case before new political unrest emerges. Sooner or later the country must confront the domestic inequalities and environmental degradation cause by its rapid growth. China is a growing economy and an economic powerhouse, but it has some significant problems to overcome. In the near future, the health of the world’s economy will be determined overwhelmingly by what happens in the US. However, the presidential candidates should be careful about how they manage relations with China because it will certainly be the world’s dominant economy in the next generation.